Part II, I suppose. I just covered the places I stayed in, in Horley, England and in Holland. 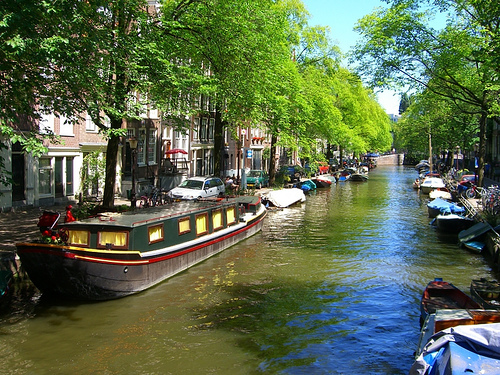 In all, I stayed in Amsterdam, Delft and Den Bosch. I found I liked the smaller cities and towns more than the big cities, though there is so much to see that you have to go to Amsterdam for a couple of days. Originally, for Belgium, I was going to go to Antwerp, Brussels, Bruges and Ghent. 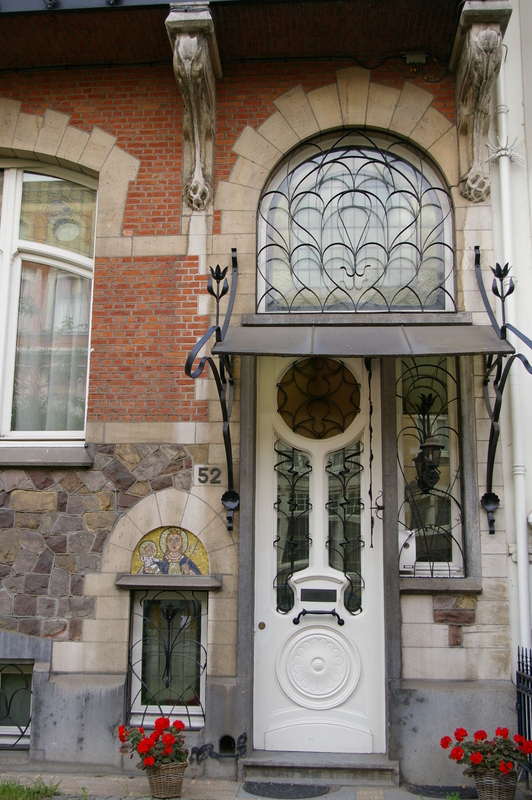 I arrived in Antwerp fairly early in the day but couldn’t check into my B&B, Mabuhay Lodgings, until after 8 that night. So I checked my luggage into storage at the train station. A bit of a fiasco that, since half of the containers were out of order. I had to walk a very long ways (probably equivalent to 4 city blocks) to the other end of the station and the other lockers. Here is where cash won’t get you far. It requires a credit card and cost me about $10 for the day. I headed to the old quarter and spent the day going to museums and cathedrals (more on the actual cities in another post). The problem was, that by the time I was ready to go to the B&B, it was rather late and on a Sunday. There few people to ask and it was not very clear on where to catch the tram to the right area. While Holland had trams with either signage or a system that called out the stops, Belgium did not. I was at two wrong spots before I got the right one. Luckily they were all within a hundred feet of each other. I have no problem asking for help and directions and the tram driver wasn’t sure which street was Drakstraat (three or four streets converged to one at that point) but there were both transit people and police standing at the junction. I asked them and even they had to look it up. Lo and behold, in front of us, the street going left was Drakstraat and the tram had come down it. Tells you something about how often Belgians look at their own street signs. Eric and Herman were the owners of Mabuhay and Eric helped me in with my luggage. Again, they were on a major street but all streets are somewhat major or minor, with cars and trams going over cobblestones. The rooms here share a spacious bathroom with a shower and a tub, complete with rubber duck, and two sinks. 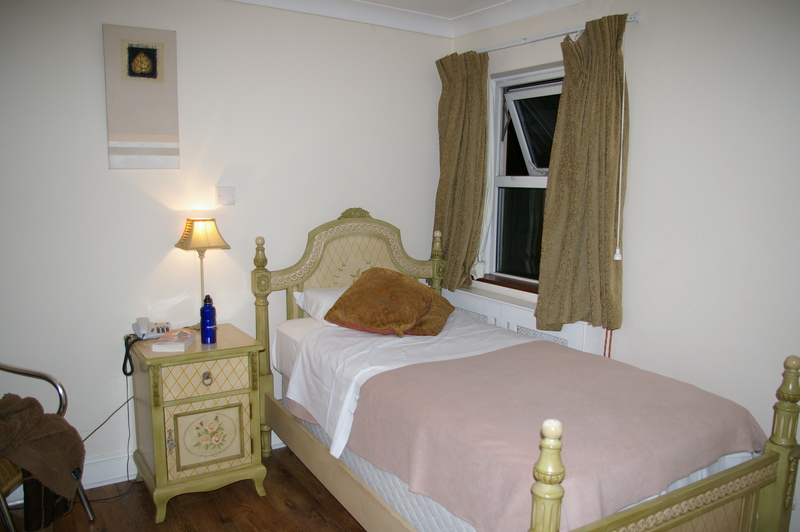 The rooms have a sink as well so you can do some basic ablutions or get some water when you want. Eric was very helpful in pointing out sites to see, giving me a map and mentioning a section of great Art Nouveau buildings near by. The breakfast seemed to be toast and cold selections (meats, cheese) but since I was still not feeling well I didn’t eat one day. But there may have been other items too. 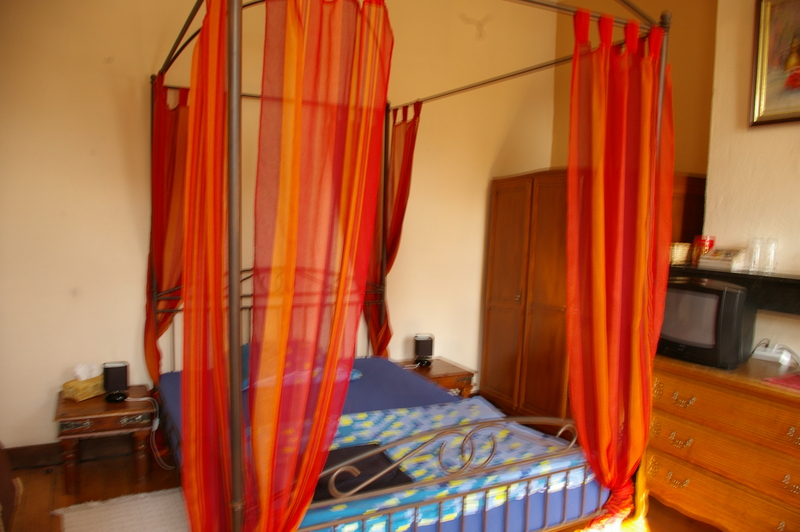 This B&B was around 45-50 Euros, standard price. I had arrived in Antwerp on a Sunday, and was going to go into Brussels the next day but many museums are closed on Mondays in Europe. I chose to just hang around Antwerp, then I moved to Ghent for two days and stayed at Het Rommelwater. 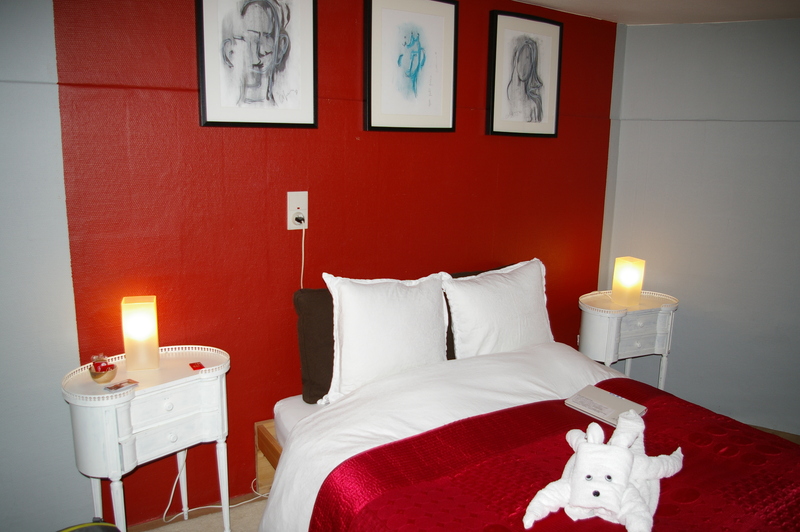 This B&B is about a ten-minute walk from the train station (Dampoort) but again, you will hear cars in the morning. I dont’ think there is a place in Holland or Belgian where you won’t, what with thin insulation, large windows and cobblestones. Reneé met me at the door and gave me some lozenges for my sore throat. I opted for the non-breakfast option, which was available, and the price was a very reasonable 38 Euros. 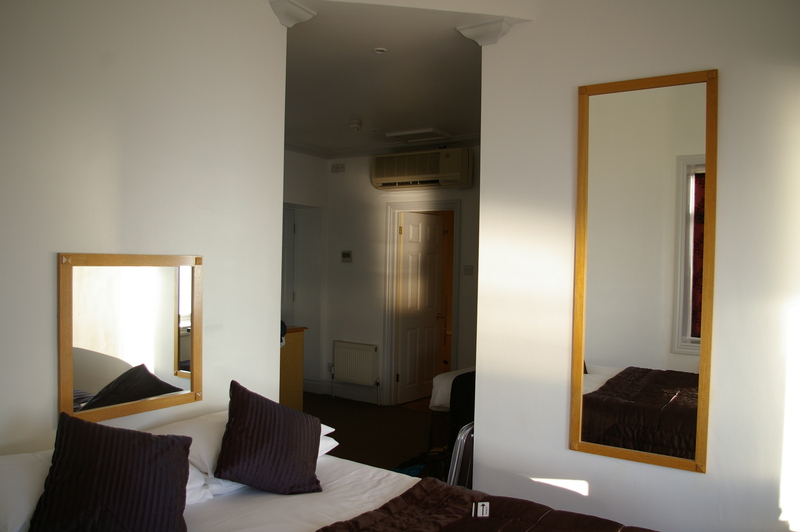 The room was spacious and clean, with a small fridge for guests in the hall. All of the above B&Bs included Wifi. I ended up with a double bed because work was going on outside the other, single room. I have not mentioned bed comfort in any of these posts because that really depends on the person. The pillow was a bit too small but otherwise, everything was fine. There also were maps and other information available for the traveler. Het Rommelwater was about a 15-20 minute walk to the town center, along a canal. The last place I stayed in continental Europe was in Calais. I needed to catch an early morning ferry to Dover so it was just a short stay. The Hotel Richelieu included breakfast but I again, didn’t eat it since I had to get up too early. This is a small hotel, almost a guest house, owned by a man doing the renovations by himself. The halls are kind of tatty but I obviously stayed in one of the rooms that’s been redone. The wallpapers in different rooms are representative of the Baroque and Rococo eras. There is no air conditioning but balcony doors that help cool down the room. (It was very hot in Calais.) In fact I’m not sure any B&B had air conditioning or fans. I also booked many of these places online. If you can, bring a phone that works. Next time I’ll have to see if there is a cheap cell phone I can buy there. Next post will deal with the last places on my trip: Canterbury and London.